Looking for an overwhelmingly accurate and deep bass. Try JBL Studio 550 subwoofer with built in 300W RMS amplifier. Innovative materials and cutting- edge technology have always put JBL products out in front of the competition's. So expect extreme output from us and be prepared for a high impact performance that may surprise you. The JBL Studio line of loudspeakers, which incorporates the very best in modern design and proven technology, is becoming one of the industry's most recognized and admired. 10" (250mm) low-frequency transducer on the JBL Studio 550P delivers deep bass impact and excitement to make you feel like part of the action. The PolyPlas cone material increases cone stiffness and damping for tighter, more extended bass without breakup or distortion. The cast-aluminum frame maintains precise alignment for consistent performance in all conditions and at all volume levels while dissipating heat for increased power and handling. High-power amplification for louder volume with less distortion results in a more realistic bass while generating less heat than lower-powered amplifiers when operating at higher outputs. The glass-filled ABS Bi-Radial High-Frequency Horn is controlled directivity at ear level of seated listeners minimizes unwanted HF interaction with walls and furniture, which creates cleaner, more realistic HF sound over a wider listening area. Clean and Dynamic, one-of-a-kind look makes a dramatic design statement in any room. 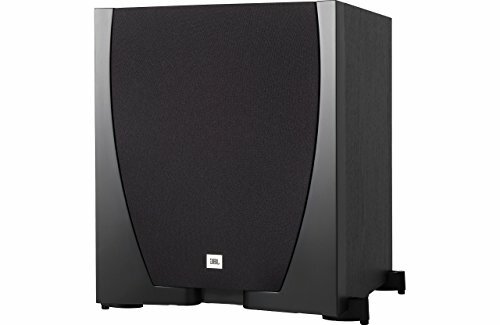 JBL Studio 520C is available in black finish.